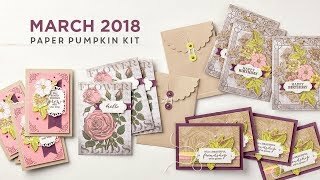 My card was inspired by the Martha Stewart Mothers Day Show - the one with the First Lady and the baby shower for all the military wives - I watched last month. Literally every part of the card, now that I look at it... 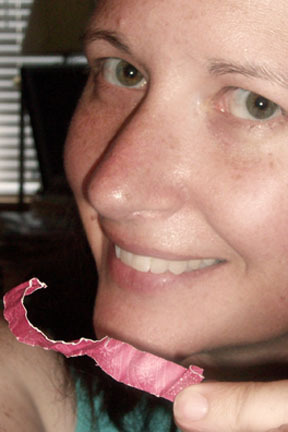 I was struck by the woman who wore her own set of dog tags with an inscription, to keep her husband close to her heart. And the show had this massive baby shower for wives expecting a baby while the father was deployed, so I thought back to my baby blanket cards, and thought the technique would work for the flag, it was a really patriotic show with Joining Forces featured. So there you have it - a flag quilt with the missing you tags. Oh, that was a good show! I know it doesn't look like it, but really that card is almost as simple as can be. The quilt style uses strips of paper and a Sizzix Top Note Die. You have seen this technique before, its a couple years old at least - but its usually done with a Square Punch instead of cut strips. I've not seen a design done in paper strips, now that I've gone and googled Top Note Quilt, but I figure that I can do almost anything in paper that can be done in sewing (naive novice sewer that I am) so I decided to make a quilt-style picture of the flag! I cut a white card stock to 4" x 5.5". I picked a blue Designer Series Paper, 2 rose red Designer Series Papers, and used my retired black and white pattern Designer Series Paper. (Seriously - the toughest part - choosing paper!) 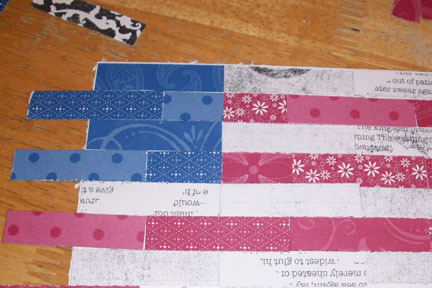 I cut the colors into strips that were 1/2" x 2" and laid them out on the white card stock, trying for a brick-pattern in the layout while maintaining the feel of the stars & stripes of the flag and using the different patterns on the paper (love double-sided DSP!). Once the pieces fit, I glued them down. No need to trim any edge-hangers - you just run the whole thing through the Big Shot with the Top Note Die, and its cut perfectly! The back ground paper? Well now, that may be Cheater Crafting at its best! I will admit, I do not have a "Missing You" sentiment stamp. I have some close alternates, but I really wanted it to be the more stark emotion of "missing". So I made my own paper. I know, you hate that. But its easy: you open a word processing program, type Missing You in a font you like, a bajillion times - well, you can copy and paste! then you only have to type it once or twice - until the whole page is covered. I printed it onto my card stock. And then... had to cut the card out of the middle, so I could get just the right part of "Missing You" at the edges. (I don't obsess, I think intensely). If you are not so picky as Some People, you could get two cards out of the 8.5 x 11" sheet. But then, it needed that Something Extra. I didn't want to add bling, I tried some ribbon and it was not good. And then I looked at my extra strips of DSP and said AHA! I'll make some roses to go on here. Red of course for true love, and blue for valor and honesty. --yes, I really chose them that way, I am that nerdy. But look - you liked it! Its very patriotic and has a touch of romance. 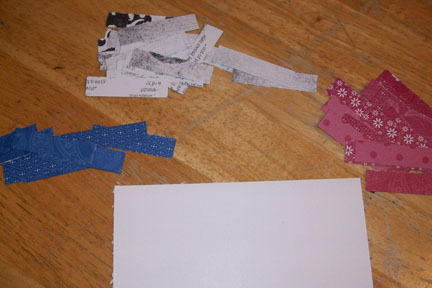 Since I had scraps from cutting the card out, I used my adorable Tiny Tags punch to get the Missing You dog tags from my extra paper. 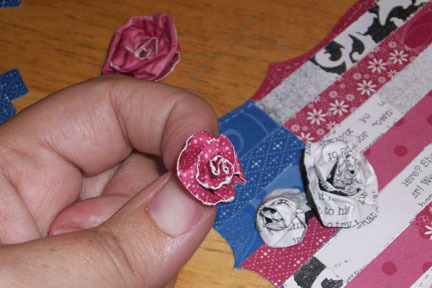 I suppose these are more of ribbon style roses made of paper than the traditional rolled paper roses, you can google both techniques and decide for yourself. 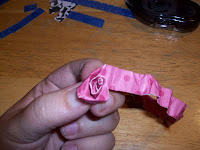 2) crush and mangle that strip until its soft and pliable as.. well, as ribbon, I guess! I ran mine through my crimper, then rolled them into balls in the palm of my hand. 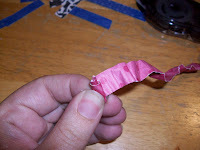 You need to break the paper fibers down so you can fold and bend the strip easily. This also gives it the "shabby chic / distressed / vintage" feel. 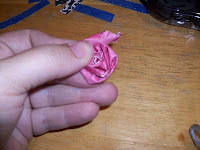 4) crinkle the corner into a nub, and then fold and wrap the strip around, forming the "petals" of the rose around as you go. Sometimes you will just wrap, sometimes its a fold and a wrap to maintain the circular direction - or to get some different color or texture. The rules clearly state you may unwrap and restart as many times as you wish, as long as you smile! 5) once you reach the end of the strip (yay! and it looks like a rose! ), you need to have a glue dot or some clear-drying glue to dab on the free end to secure it to the underside of your flower. 6) then you'll want to fluff/smush the flower into a pretty shape, and add glue between the petals to keep it intact (as needed). Your roses will vary - some are blooming, some are buds. Enjoy the variety. Experiment with different widths and lengths in the strips - some will come out much more folded and compact: maybe perfect for a scrapbook or mini album or card; others will be tall and proud: great for frames or shadow boxes or making wreaths. Saw your card on the OWH site. This is truly beautiful and inspired. I'm like that...I almost "overthink" a concept, want to carry it through in all the details, and then most people never quite "get it." So I wanted to tell you "I got it." :) I see all that you put into it. I know it will be loved and appreciated. Your card for OWH is stunning!!! Thank you for the inspiration. Angela, This card is just beautiful. I make the quilt squares top note, but would have never though of doing strips. Thank you for such a great idea. The flower are so special. I am going to try that very soon. Your tutorial was very informative. Thank you for sharing. A terrific tutorial. I continually try this technique and forget the smile part of the directions. I can often be heard swearing up a blue streak like the sailor I used to be. LOL I'll keep trying though and remember the patience and smile tips! 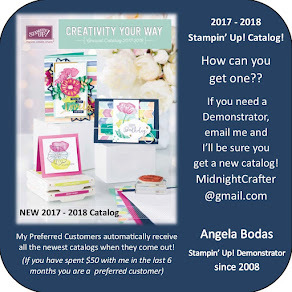 I saw your wonderful 'Quilted Flag' card over at OWH today and was so happy to see you had taken the time to create a tutorial to share with everyone - Thanks !! 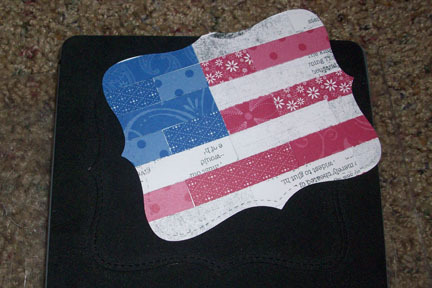 Today, I created my very first two 'Quilted Flag' cards and posted about them and your tutorial on my blog. I also added a link to both OWH and your blog, so that every one can see your wonderful inspiration!